234 West Dalton Road - King, NC | Click for directions. Dessert served one hour prior to performances! Tickets just $5 at the door! Cash only, please. 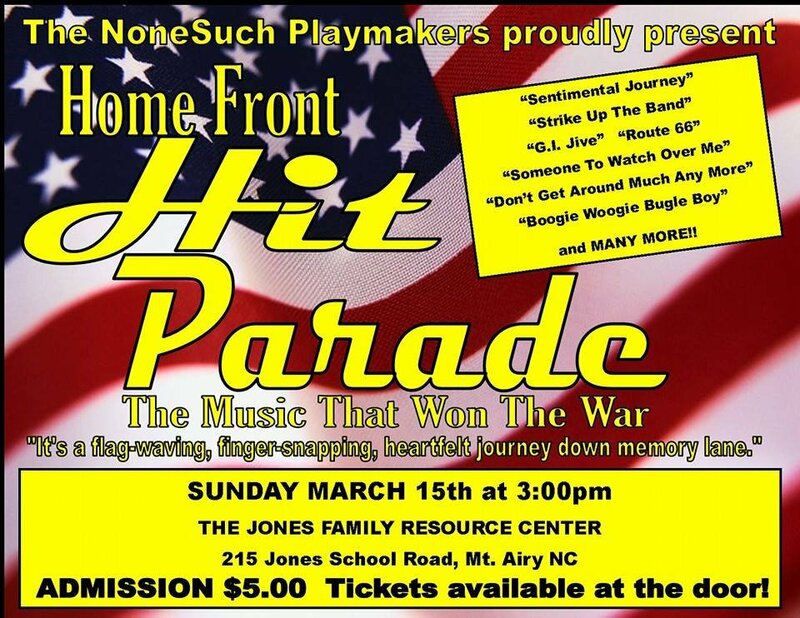 A musical revue of WWII era songs! Complete with era-appropriate commercials, it's a flag waving, finger-snapping, heartfelt journey down memory lane! *"Bons Temps" is French for "Good Times"